Many women in our society develop various hormonal imbalances during menopause, however, it is possible to achieve optimal hormonal health. Our hormones are the messengers in our body that communicate with our glands and other parts of our body. Hormones influence our emotions, our mental well being, and our sleep patterns. When women reach pre-menopause and menopause, it is important to find safe and natural ways to keep the hormones in balance so the hormonal messengers can perform at an optimal level. The good news is that our bodies have a great capacity to restore and re-balance. There are many things women can do to help with the hormonal fluctuations that cause all those unwanted menopausal symptoms like night sweats and hot flashes. For hundreds of years, Yoga has provided postures, breathing exercises, and even mantras to stimulate and balance specific endocrine functions. Balance is crucial to all of life’s processes. It is always important to find ways to remind the body how good balance and restoration feel. Yoga postures calm and quiet the mind and body. Also, they can affect the the endocrine glands in a positive way by stimulating specific glands. In India, yoga is commonly prescribed to relieve certain ailments. The balancing benefits come from subtle compressions of the glands that regulate secretions and bring the system back into homeostatic regulation. Every yoga pose is said to help balance a certain gland or part of the body. For example, the “ Blowing in Firm Pose” offers the following benefits. Similarly, every yoga pose offers some kind of benefit to the body. 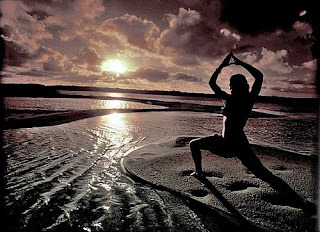 Yoga can is safe and relatively easy for most women. I would advise all women especially women in the menopausal phase of life to begin to practice yoga at least once a week to help achieve optimal hormonal health. Here are a few other suggestions to help balance and restore the body. 1. Allow for down time to help the body to relax. Relaxed bodies are healthy bodies. 2. Support the immune system by eating a healthy diet of whole grains, lean protein, low fat dairy and lots of fruits and vegetables. A healthy diet reduces stress on the endocrine system. When shopping, stick close to nature and stay away from processed foods as much as possible. 3.Relieve stress with practices that emphasise deep breathing, like yoga, meditation or reiki. 5. Take a hot bath with your favorite essential oil. I love lavender because it helps to induce sleep. 6). Spend quality time with friends and family. Happy people are balanced people. 7). Get enough sleep. Most people need at least 7-8 hours to feel rested.